Maximum grip and handling, maximum driving pleasure - for high performance sports cars. Outstanding dry and wet handling, superb braking and acceleration performance, high aquaplaning resistance plus stability and comfort. The SP SportMaxx delivers Top class performance on both wet and dry surfaces. 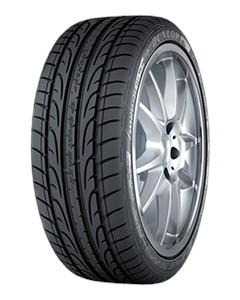 The tyre's Multi Radius Tread (MRT) offers more control in corner and outstanding dry and wet handling. With its Dual Silica Compound the Sp SportMaxx offers superb braking and acceleration performance with low wear and tear.